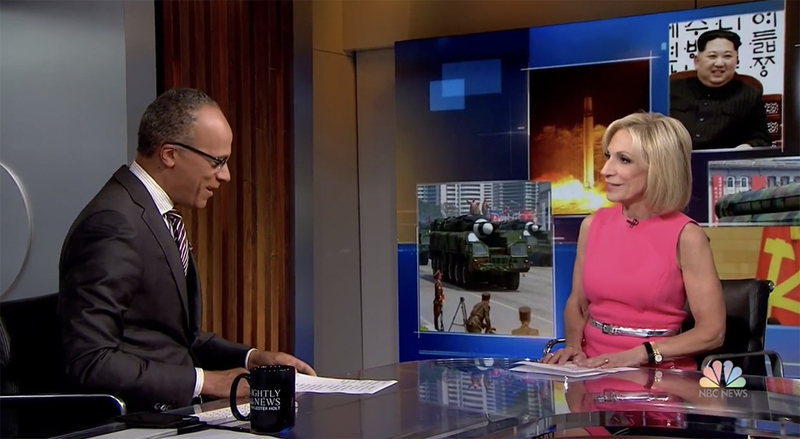 “NBC Nightly News” has been making some tweaks to its format, including more in-studio correspondent debriefs, more use of the “vista wall” alcove and skipping the “Nightly Rundown” segment on occasion. 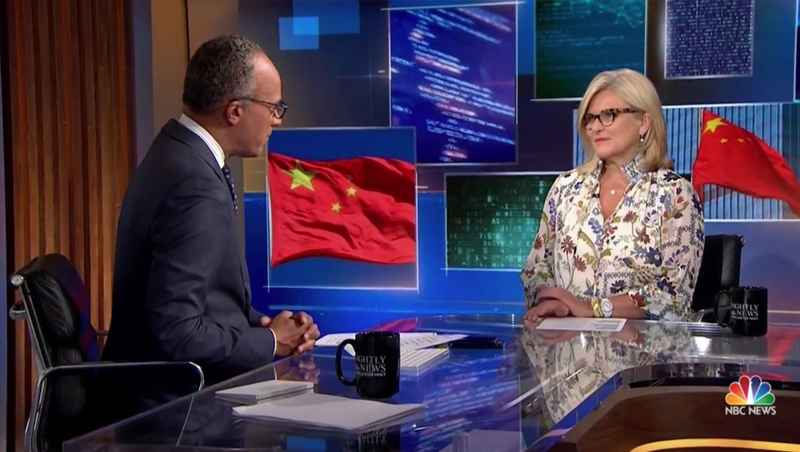 Starting earlier in the summer, anchor Lester Holt has had correspondents appear on story with him at the end of a package. 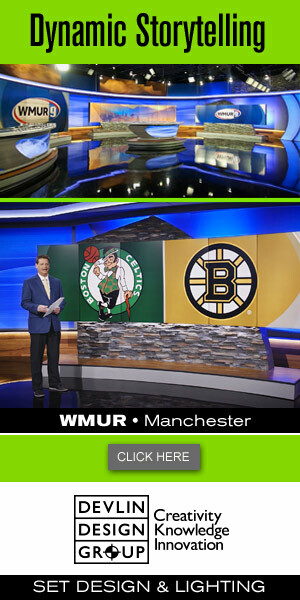 The correspondent typically sits with Holt at the L-shaped anchor desk installed last summer, with Holt sitting in front of the glass wall overlooking the small working newsroom area. 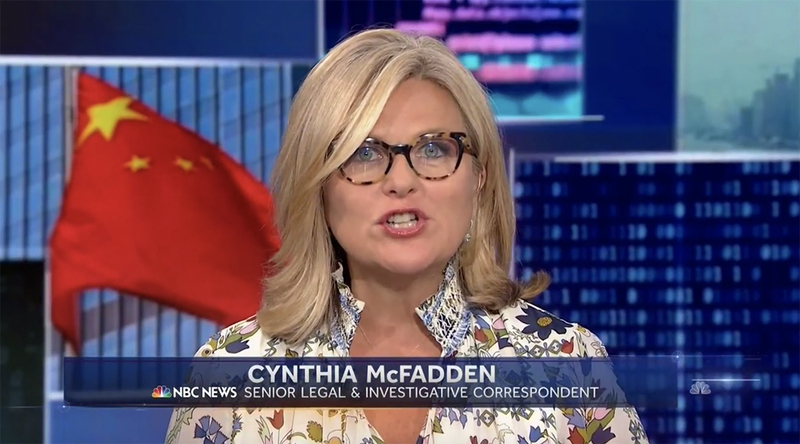 The correspondent, meanwhile, sits in front of the studio’s large seamless video wall, typically with a collage of topical imagery on it. The background uses the signature “Nightly” blue background as a base with square and rectangular images framed with laser line accents.